As many people inside and outside the Outerlimits circle know, I have close ties with the Outerlimits factory. In fact my relationship with Mike Fiore, who founded the company, went further than the typical supplier-customer relationship. We were good friends. Thomas Kulesia of No Coast Design created the stunning design for Tuck’s 44-footer (click image to enlarge). Mike and I explored many options for resolving the paint issue and had agreed on one of two scenarios: One being that Outerlimits would repaint the deck of the boat or the other being that they would give me a credit toward paint on a new boat. Read the rest of the Speed on the Water article here. 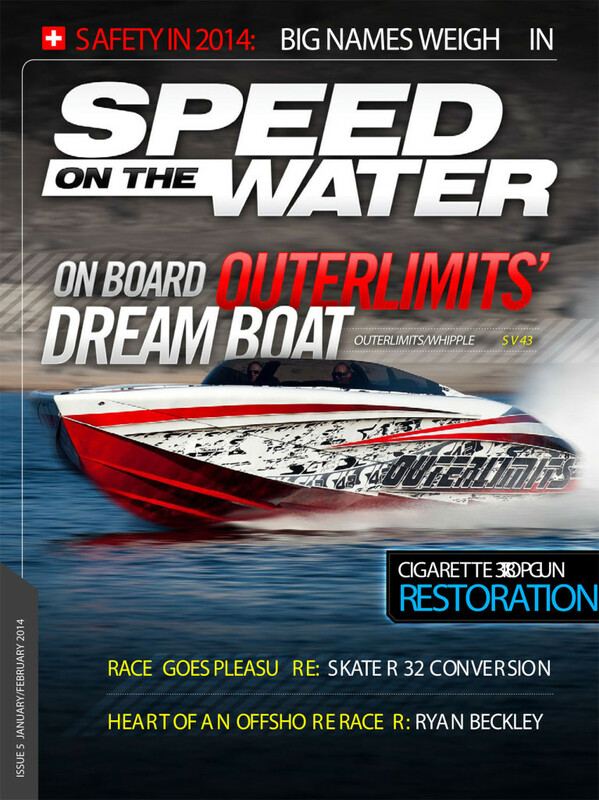 Read the Speed on the Water articles about No Coast Design and Skater Powerboats Jake Schulte. We are excited to welcome Jake Schulte to our team. We know his expertise in paint application will compliment the skills already possesed by our crew. With his talent, No Coast Design will continue to redefine industry standards and continue to push the limits of design. As always we strive to bring our clients the very best service and quality in the industry. Jake Schulte will be an important player as we continue to grow and expand here at No Coast Design. Speed on the Water notes the opening of No Coast Custom Paint in their online magazine. Read the article below, or click the link to read the article on Speed on the Water. Noted high-performance powerboat graphics designer Thomas Kulesia, III, has established his own in-house painting facility called No Coast Custom Paint in Benton Harbor, Mich. Kulesia, who has designed graphics for almost every big-name go-fast builder in the United States, has partnered with Ken Kaminski, and the two will work out of the Flying Colors Aviation facility founded and owned by Kaminski. Previously, Kulesia’s graphic designs had either been executed by in-house staff members at the boat companies or outsourced to full-time painting companies typically specializing in the recreational vehicle and private aircraft markets. Kulesia designed and managed the graphics application for this SL 50 V-bottom from Outerlimits Offshore Powerboats. Kulesia said he expanded his services so that he can have design-to-execution control of the entire painted graphics process. That way, he can “ensure the project reflects exactly what the rendering and the customer intended,” he said in press release on the new venture. “The decision to establish our own paint facility was founded in the desire to produce custom paint schemes beyond the expectations of our clients,” Kulesia in the release. “We needed our own facility to allow for complete control over the final product. 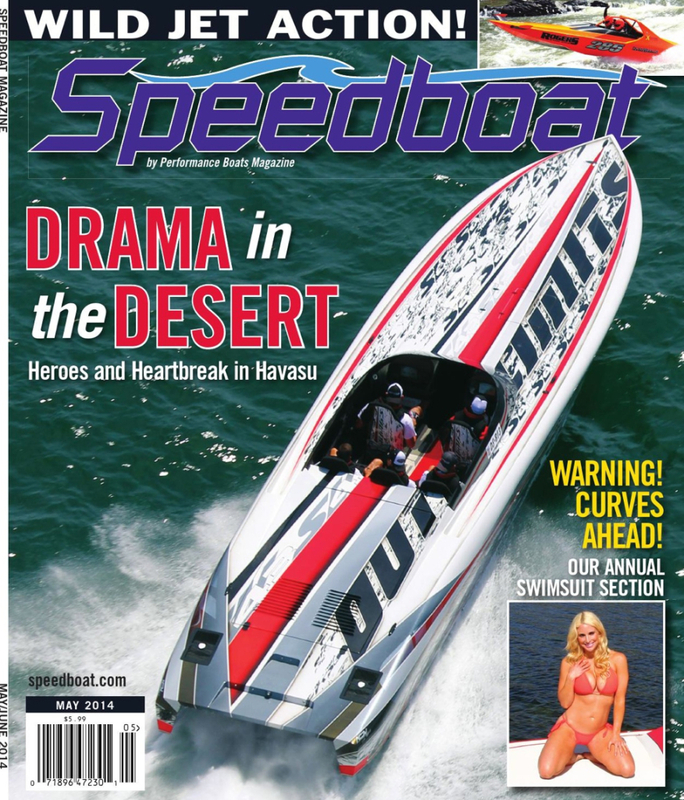 See the article on Speed on the Water. Mystic Powerboats in DeLand, Fla., has started tooling its first 40-foot catamaran, a project that is more than three years in the making. According to company owner and founder John Cosker, the catamaran will be available in an open-cockpit version called the C4000S, a high-performance canopied pleasure version called the C4000RS and a pure offshore racing version—called the C4000R—aimed at the growing Super Boat International Supercat class. A CAD-generated cutaway view of the new Mystic C4000S, which will be offered in Pleasure, Race/Pleasure and offshore Race versions. The new plugs for the tooling are being CNC-milled at Vectorworks Marine in Titusville Fla., and Mystic will build the molds in house. Production on the new C4000 series will begin March 2014. All sales will be factory direct for “more personalized service,” according to Cosker. Using graphics created by Thomas Kulesia, III of No Coast Design, Mystic will paint Szolack’s Mystic C4000S in house.